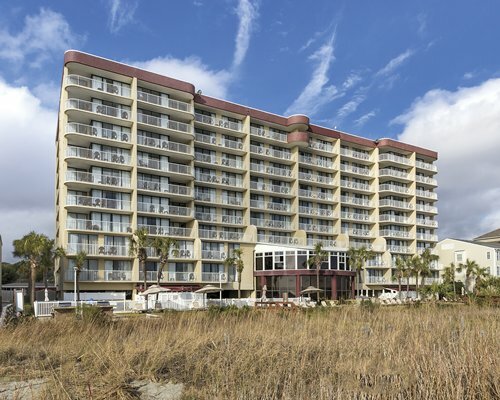 A Place at the Beach is situated on the Atlantic Ocean in a great location in the Windy Hill section of North Myrtle Beach. 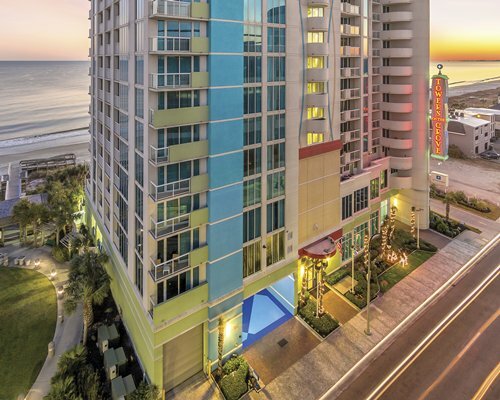 The resort is just about a mile from Barefoot Landing, with over 100 shops and great entertainment, such as the Alabama Theater, House of Blues, Alligator Adventure, and many excellent restaurants. Couples will find the beach and weekly fireworks romantic. Golfers will be in golf heaven. And families will rejoice that there's always something fun to do, with amusement parks, fun places to eat, and plenty of places to partake in American's favorite pastime, shopping. The two bedroom units sleep 5 and the three bedroom units sleep 8. 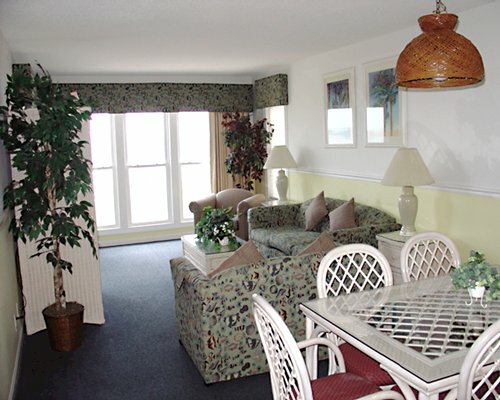 The rooms are attractively furnished right down to the Berber carpet that runs throughout the unit. 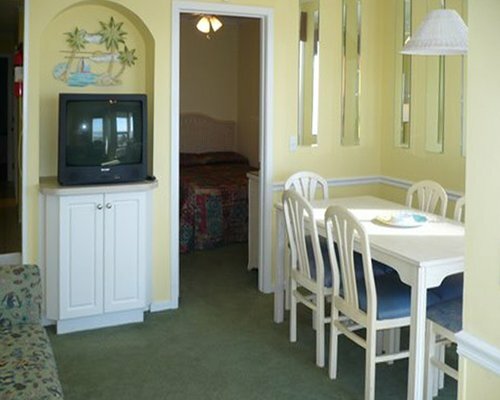 All rooms have an ocean view so you're never very far from the lapping waves of the Atlantic Ocean. 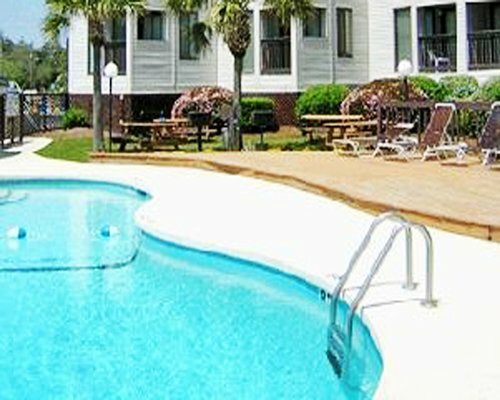 The resort has thought of everything to make your stay here memorable and fun. 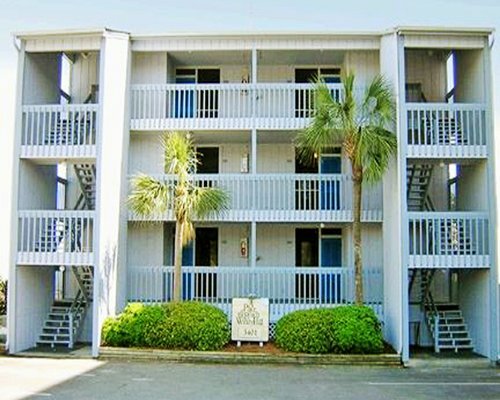 Little touches abound, like the storage units under the building to stow your beach gear. 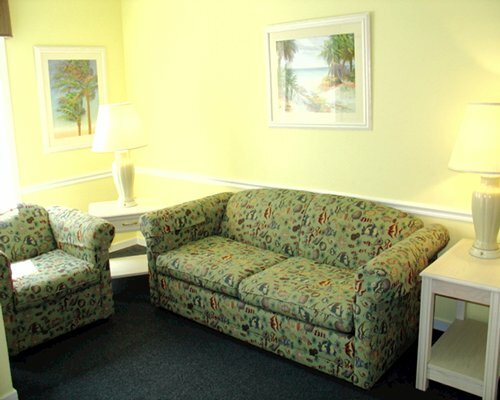 After spending a day sunning at the beach, the rooms are a great place to relax before you head out for your evening of dinner and entertainment. 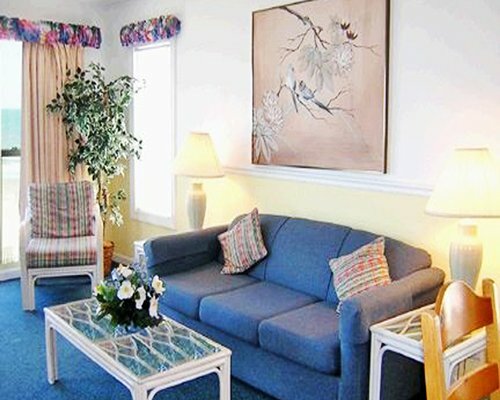 The nearest commercial airport is Myrtle Beach Int'l, 15 miles from the resort. 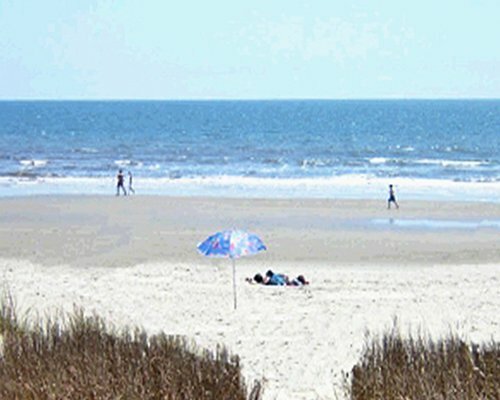 Take Highway 17 north to North Myrtle Beach. Look for Barefoot Landing and Alabama Theater as a reference. Turn right on Windy Hill Road and follow straight to the resort. Guests may check-in at the on-site office on Saturday between 3-6 pm ONLY. If arriving after 6pm on Saturday, guests must call the resort prior to check-in to make alternate arrangements. The checkout time is 10am, and is strictly enforced. 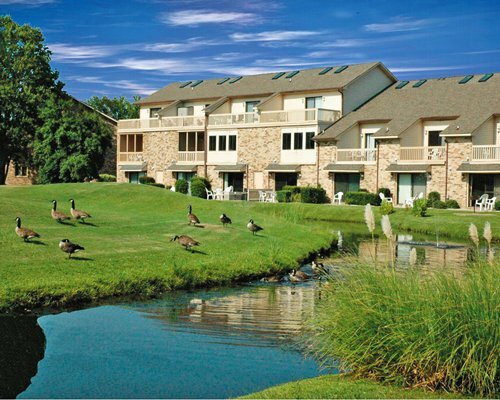 The resort offers a golf VIP card and on- site ticket sales for area attractions. 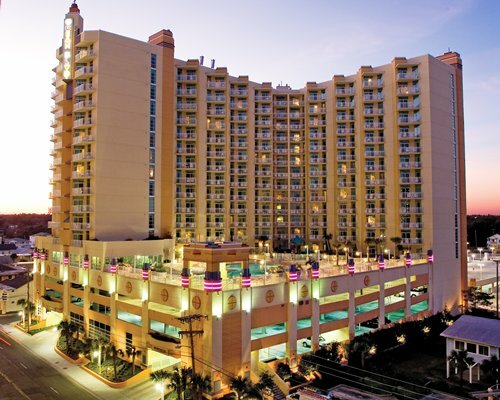 Resort is located in NORTH Myrtle Beach, SC. Only the 2 bedroom units have elevator access. Tents not allowed on beach.